Synchro Stars established their first intermediate level team In 2015-16 and are very proud to be returning this year. The intermediate team practices once a week on Sunday mornings for 2.5 hours on-ice and 1 hour of off-ice at Sullivan Arena at St. Anselm’s College. This year’s team is comprised of skaters ages 12 to 17 who have passed juvenile to senior moves-in-the-field. The skaters are from New Hampshire and Massachusetts. The intermediate team is coached by Skating Director Kelley Dugan and assisted by Kat Howland. Skaters on the Open Juvenile team are ages 10 to 13. 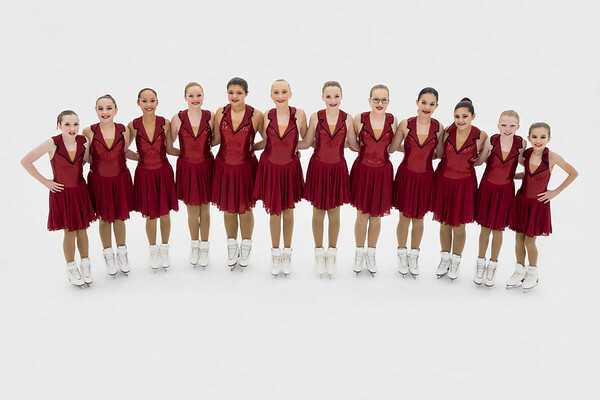 The Open Juvenile team is comprised of many former Pre Juvenile skaters that had a very successful season by earning the Pewter Medal at the Connecticut Synchronized Skating Classic. The Open Juvenile team practices once a week on Sunday mornings for 1.5 hours on-ice and 1 hour of off-ice at Sullivan Arena at St. Anselm’s College. The Open Juvenile team is coached by Skating Director Kelley Dugan and assisted by Beth Houghton. 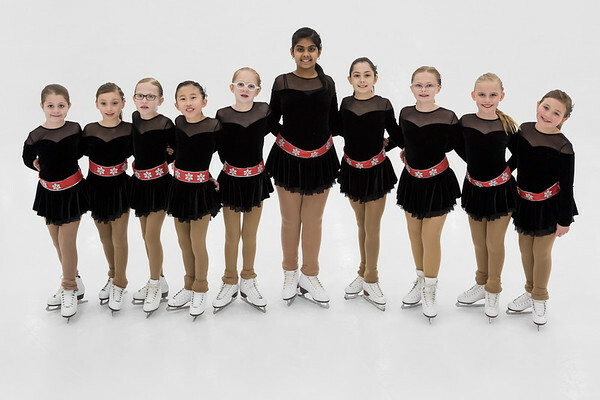 Our Synchro Skills 2 Team consists of skaters ages 7 to 12 years old with the majority of skaters 11 and under. Skaters on the Synchro Skills 2 team have passed at least Basic 8 level and are starting to work on their free skate levels. The Synchro Skills 2 team competes in 3-4 competitions during our season including one overnight trip. They also participate in 1-2 exhibitions throughout the season. This team practices once a week on Sunday evenings at Conway Arena for 1 hour on-ice and 30 minutes off-ice. The Synchro Skills 2 Team is coached by Skating Director Kelley Dugan and assisted by Kat Howland. We're working on adding information about all our past years teams.